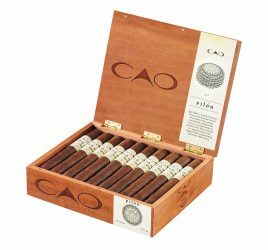 The “Headline Cigar” is one the best cigars that you can find on the market as you come to read these words. With our ear to the ground we give you our dish of the day: don’t miss it! Ladies and gentlemen – to your lighters! El Brujito – “the little wizard” – is a cigar made by the Nicaraguan producer Nica Rustica that has just been released. A grand robusto with a unique personality – mild at first with a richer finish – it has caught our attention. A curiosity? Yes, but much more than that. Widely-known by well-informed and curious smokers, Drew Estate cigars are generally big on character. 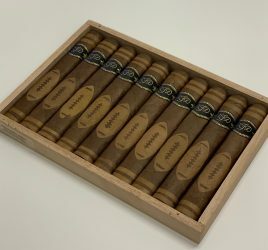 Only recently launched in France, brands like Undercrown and Liga Privada have managed to make a name for themselves despite an increasingly wide array of Nicaraguan cigars. The man behind Drew Estate is its cocreator (alongside Marvin Samel) Jonathan Drew. Both brilliant and meticulous, a hipster and a self-described “cigar geek”, Drew is above all passionate about his craft. Acquired in 2014 by Swisher International, the company continues to develop and launch new premium brands, like its latest arrival, Nica Rustica, which adds an artisanal touch to an already diverse portfolio. APPEARANCE: Oily oscuro wrapper with a few veins. PRE-LIGHT FLAVORS: Very organic, damp hay with a hint of chocolate. First third: A round yet full-bodied start with grassy and earthy notes. The excellent draw and good burn produce plenty of mild and very aromatic smoke. The sensations soon become more subtle – timid even. Smooth and well-balanced featuring refined and fresh notes of peat and cocoa. A coherent and delicate first third. Second third: The second third is slightly different, gaining in depth and complexity. Still just as well-balanced with moderate strength but more varied flavors come into play. Increasingly vegetal and ashy notes with an underlying bitterness that gives it a slight edge. Very appealing and enjoyable without being excessively complex. Final third: A significant spike in intensity for the final third. The initial elegance makes way for more virility. The strength remains under control but is clearly a notch higher than before, with plenty of character and a long aftertaste. Although limited, the flavor is there with roasted notes in the finish. This grand robusto never overheats, keeping its balance throughout, and can be smoked right down to the nub. A fairly discreet stick, especially during the first two thirds, but very aromatic. 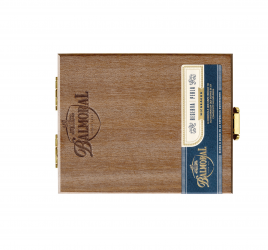 A dark and rustic flavor profile – unsurprisingly given its brand name – old-school even, but still a pleasant, attractive and recognizably Nicaraguan cigar. A good smoke despite a certain lack of complexity. An accessible stogie that proves once again that cigars with maduro wrappers aren’t always the most powerful. Give it a shot.